Organisations going through mergers and/or acquisitions in the UK need to be aware of immigration issues and take careful steps to avoid falling foul of the law. All employers in the UK are subject to duties regarding the prevention of illegal working. Employers are required to carry out checks on all potential employees before their employment begins to confirm that they have the right to work in the UK (known as “right to work checks”). Employers must keep specified documents on all employees’ personnel files to provide a statutory excuse against a civil penalty in the event that the employee is found to have been working in the UK without permission. Where an organisation is involved in a merger or acquisition and employees are moving to the new organisation, obligations relating to the prevention of illegal working are triggered for the organisation receiving the employees. The organisation may be subject to the Transfer of Undertakings (Protection of Employment) Regulations 2006 (“TUPE”). It must carry out right to work checks on all acquired TUPE employees within 60 days of the transfer date. If an employee who has been TUPE transferred is later found to have been working in the UK without permission and the buyer has not carried out the checks correctly, it will not have a statutory excuse against a civil penalty of up to £20,000 per illegal worker. Although 60 days might sound like a generous amount of time, it can pass by very quickly at an inevitably busy period for an organisation involved in a transfer. We advise that right to work checks are carried out as soon as possible following the transfer and that they are built into the organisation’s due diligence process. For employees not transferred under TUPE, the right to work checks should be carried out before they start to work for the new employer. We advise organisations to build the checking process into the final interview stage of recruitment, or to ask the employee to arrive before their contractual start time on their first day of employment to give time for the checks to be completed. In addition to employers’ general duties to prevent illegal working, employers registered with UK Visas and Immigration (“UKVI”) to sponsor migrant workers under Tier 2 and/or Tier 5 of the Points Based System (“sponsor licence holders”) have further obligations in relation to their sponsored migrant employees. Both the seller and the buyer have certain obligations regarding employees transferred under TUPE as part of a merger/takeover. They should both review their schedules of employees at the beginning of the due diligence process, and make sure they have established the immigration status of each employee. The seller will need to report the transfer to UKVI via the Sponsor Management System within 20 working days of the transfer. It will need to include details of the transferred employees and whether the organisation’s sponsor licence should be surrendered (if it is no longer needed or the entity will cease to operate). The buyer must apply for a sponsor licence within 20 working days from the date of the transfer, if it does not already hold one. Buyers which already have sponsor licences must report the transfer via the Sponsor Management System within 20 working days of the transfer, including details of sponsored employees that have been transferred. The buyer will become responsible for all sponsorship duties in respect of transferred employees. If a transfer takes place without TUPE protection, the buyer will need to issue Certificates of Sponsorship to affected employees, and they will in turn need to make fresh applications for permission to remain in the UK. This may be where the employee’s role or salary has changed as part of the transfer. Both organisations will be asked by UKVI to provide documentation in relation to the transaction. Dealing with obligations relating to the prevention of illegal working and sponsorship duties is an essential part of the due diligence and post-merger/takeover process and should not be overlooked. Failure to comply with these duties could result in civil penalties and in the individuals’ affected losing their right to work in the UK, and potentially having their leave to remain in the UK curtailed by UKVI. Organisations should not treat these obligations lightly. The government has committed to creating a “hostile environment” for migrants, discouraging people from coming to the UK and preventing migrants without permission to be in the UK from accessing work, healthcare, housing and bank accounts. As part of this regime, employers can now be prosecuted and imprisoned for up to five years if they are found to be employing an illegal worker and they know, or have reasonable cause to believe, that the employee has no right to work. Organisations should bear this in mind and ensure that their due diligence processes and personnel files are up-to-date and equipped to deal with their responsibilities under the prevention of illegal working and sponsor licensing regimes. 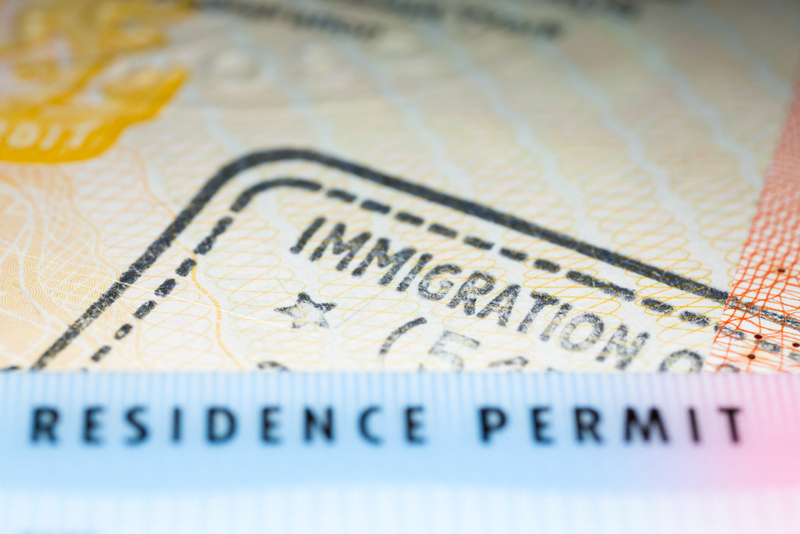 Philip has been advising on immigration issues all his professional life and is recognised as a leading expert in both business and personal immigration. He provides specialist immigration advice to commercial, charity and individual clients in respect of Points Based System applications - including Tier 2 (General) and Tier 2 (Intra Company Transfer), Tier 1 (Entrepreneur), Tier 1 (Investor) and those applying under Tier 1 (Exceptional Talent). Philip has been selected by peers for the inclusion in the 2018 Edition of Best Lawyers in the United Kingdom in the practice area of Immigration law.